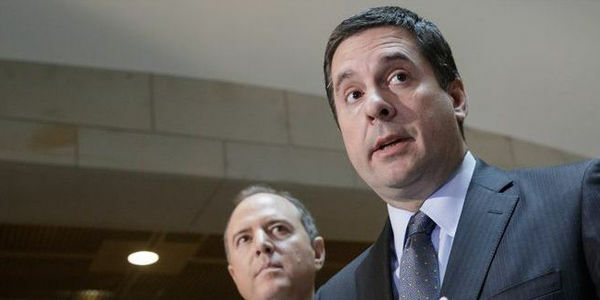 Devin Nunes has recklessly ignored the request of the FBI and Justice Department and is promising to release a secret memo he composed - potentially with collaboration from the White House itself. Those who have seen the memo worry that it reveals classified information while presenting a very skewed version of the facts in an attempt to convince Americans that there is a massive governmental conspiracy against President Donald Trump. After already having to recuse himself last spring, it's clear that Nunes's #1 priority is to disrupt the Russian collusion investigation, not to seek justice. House Minority Leader Nancy Pelosi has sent a letter to Paul Ryan asking him to removed Nunes from his position on the committee, as the circumstances warrant. We, the people of America, call on Ryan to heed Pelosi's call and restore some order and decency to the House Intelligence Committee.